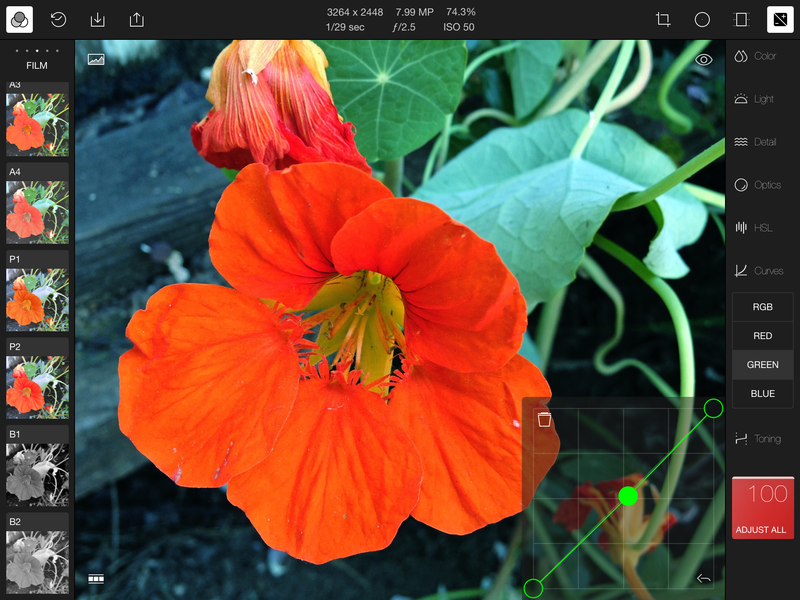 Polarr, known for its browser-based photo editing app, today debuted an image editor for iOS that competes with some of the best image pro-level editors on the iOS platform — while maintaining its ease of use. Polarr is a no-nonsense product without gimmicks — you use it to make your pictures look stunning. So if you’re looking to draw little doodles on your photos or apply cute stickers or cool type treatments, there are plenty of fine apps that facilitate your playful side. But you won’t find it here. 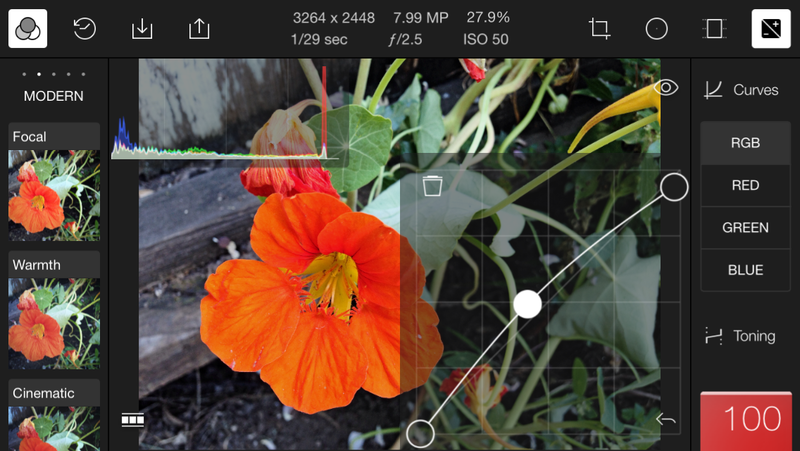 The app offers a large assortment of pro-level features and controls, and yet is accessible to photographers on almost all levels, just like its Web app. Because it is a full service app, there’s a lot going on with the Polarr interface, but it is intelligently segmented by discrete functions on the left, right and bottom of the canvas — an adaptation of a context sensitive layout you’d find on a desktop app. You can adjust the workspace to fit what you are doing. 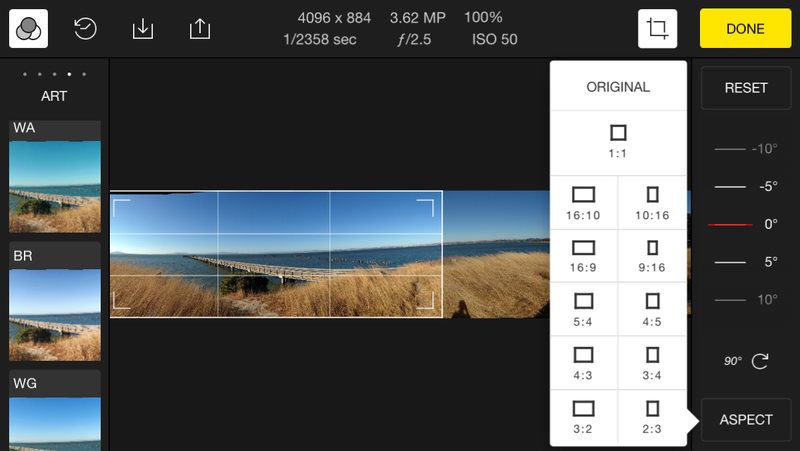 If, for example, you want to apply filters to an image, located on the left, you can tap a button to hide the image editing tools on the right. 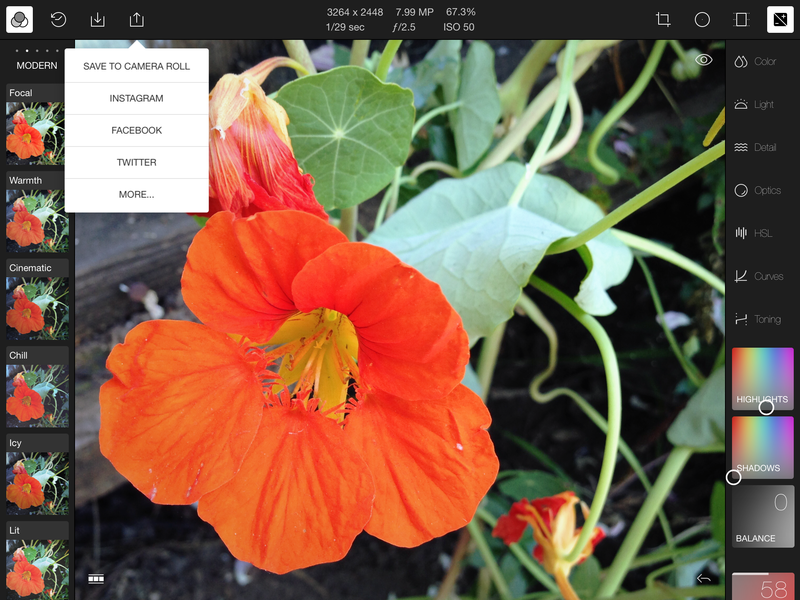 You can tap another button to hide the bin of photos that you imported into the app from your Camera Roll or shot with the app. Hiding what you’re not using frees up a lot of space and declutters the screen. The left side of the screen is devoted to filters in five categories: Most Used, Modern. Film, Art and Custom. However, unless you pay $4.99 for an in-app purchase, you will have to be content with the app’s built-in filters. There’s a good, but not overwhelmingly huge assortment of filters, however they can been tweaked endlessly with the editing tools on the right side of the canvas. 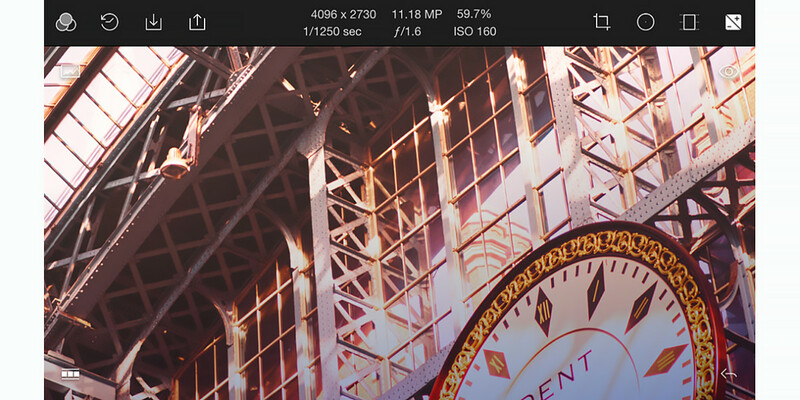 There, you will find the classic tools like exposure, contrast, highlights and shadows, temperature, distortions and vignette with labels like Color, Light, Detail, Optical, HSL, Curves, and Toning. Each of those functions open up to additional controls that you can apply from inside a box-type layout. The box acts like a slider, but without an actual slider, though sometimes it’s a bit hard to control. Tools like HSL channels and Tone Curves help perfect the colors in your image, plus you can split-tone with any colors you choose. You can choose to view or hide a dynamic histogram and a classic Curve graph shows up with that control. You can also make adjustments by tilting your device: Just choose the control and tilt the device. It’s all topped off by infinite Undo/Redo and History controls that return to any point in your editing sequence. 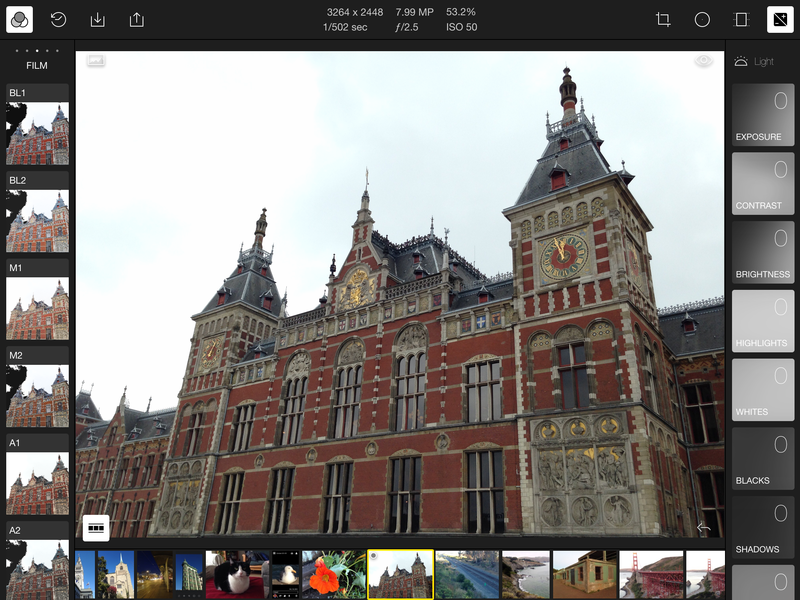 Polarr is a universal app optimized for the iPhone 5 and up and later versions of the iPad. 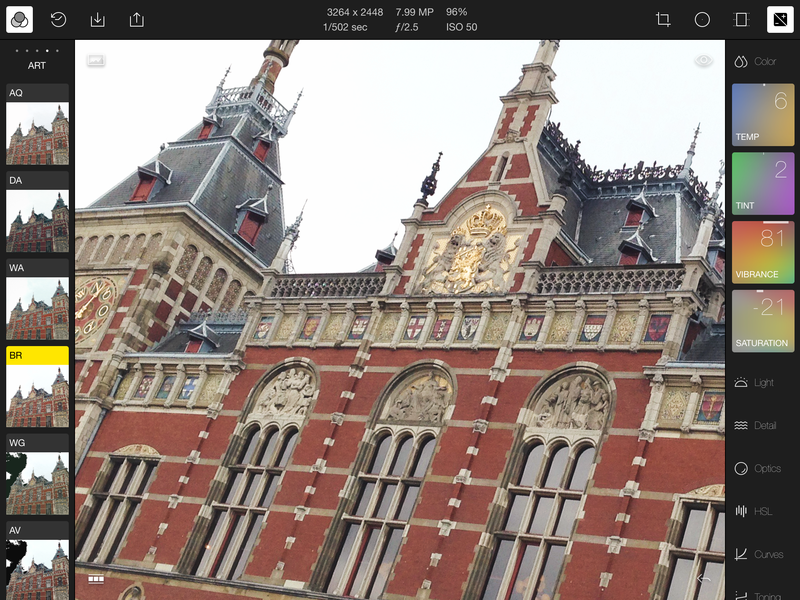 Editing with Polarr on the iPad Air 2 is ideal, though generally editing photos on the iPad is more rewarding than trying to work in the cramped confines of an phone. That said, Polarr’s phone interface is identical to the tablet, and the fact that you can hide controls contextually makes the app a lot easier to use on the handset. 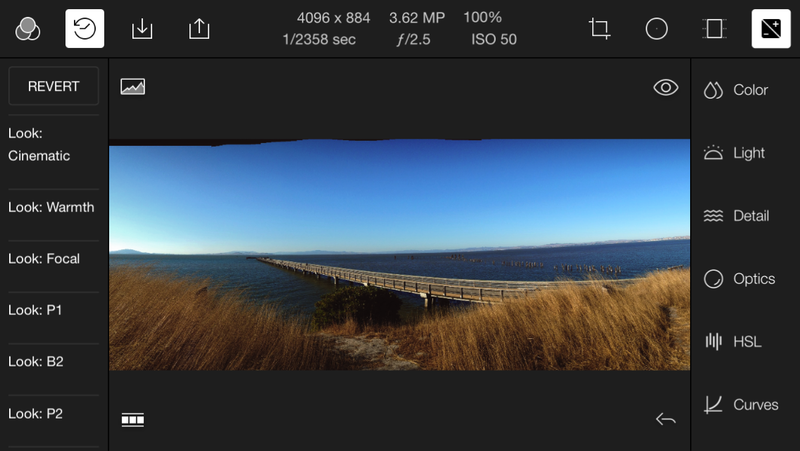 I tested on an iPhone 5, and I’m sure that it’s even easier to maneuver on the new larger screens. There are some missing functions that certain photographers will complain about. 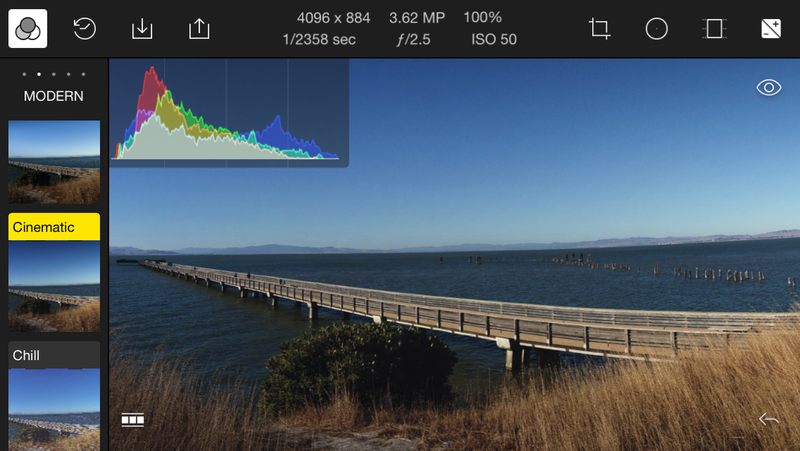 Unlike some mobile editing tools, Polarr does not have a layers capability (think Photoshop Touch or Pixelmator) and once editing is done, the photo will export full resolution up to 16MB. And while you can export to various social media, the only way to get a photo into Polarr is via the Camera Roll or shooting from the app. 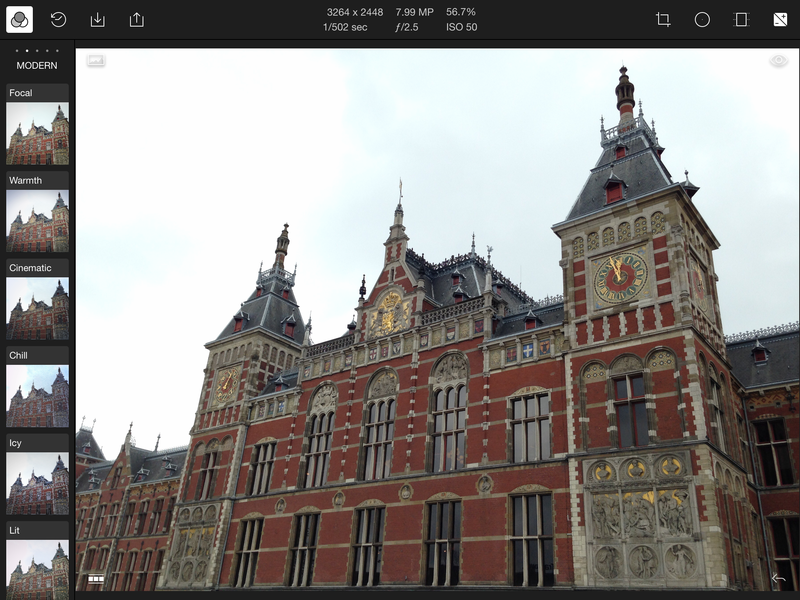 Polarr is packed with excellent tools and wrapped in an easy-to-learn interface. 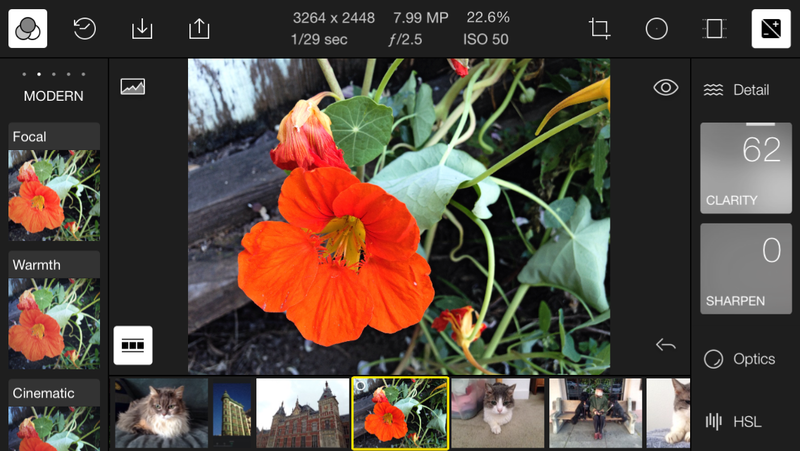 If you’re currently using Snapseed or Pixelmator, you’ll definitely want to have a look. The app is available free on the App Store for the iPhone and iPad and requires iOS 8 or later. An Android version is in the works and will be out in four to six weeks for Lollipop only.